Samsung's hugely popular J-series of smartphones is due for a refresh and by all accounts an official announcement should happen any day now - the Galaxy J7 (2017) and J5 (2017) even starred in hands-on videos, yet there's no word from Samsung on the matter. 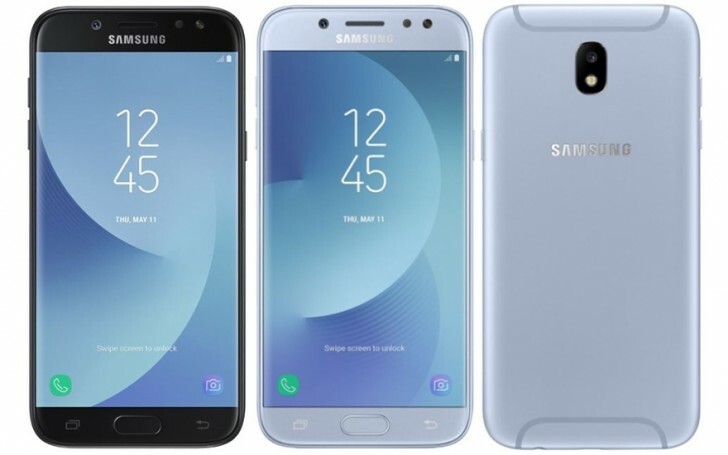 Well, retailers in Germany seem to know a few extra details, as the Galaxy J5 (2017) has been listed for pre-order on a few major online stores. Price has been set at €279 for the J530FD version, in other words the Galaxy J5 (2017) Duos dual SIM flavor. Otto says the phone will ship at the end of the month, Cyberport cites June 22, and Conrad promises a week earlier than that. Saturn doesn't specify a date. The Galaxy J5 (2017) is the mid-sized of the J-series for this year and according to currently available info it'll come with a 5.2-inch 720p AMOLED display, Exynos 7870 chipset, and 2 gigs of RAM. 13MP cameras front and back complete the picture. Now all that's left is for Samsung to actually announce the thing. My first impression is this phone must be designed for Frieza, base on the antenna line. I admit this one designs is okay, but xperia design is top notch you can't compare with this one but you can compare to China phone.